The labour is at an end. FirehorseMia's birthday present is done. The reaction? "Ahhh, the poo-bottom dog!" 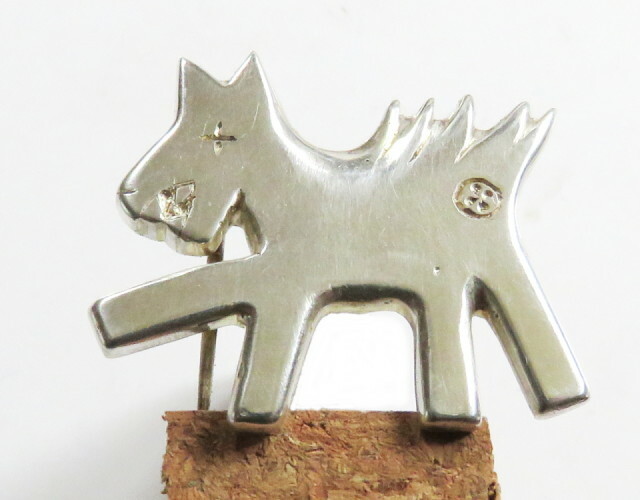 From a design by FirehorseMia from the 80s, in sterling silver. Brooch, approx 45mm wide.